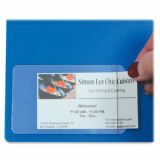 Create more professional-looking proposals, presentations and reports. 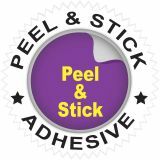 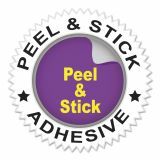 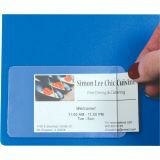 Clear vinyl pockets feature permanent adhesive to ensure that you'll never lose your cards again. 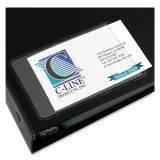 Also great for identifying ownership of software, policy manuals and reference books. 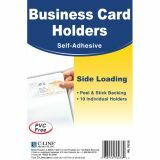 Note: A minimum quantity of 100 must be ordered, and in units of 5 thereafter. 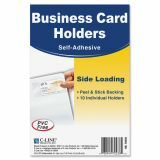 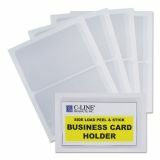 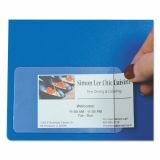 C-Line Self-Adhesive Business Card Holders, Side Load, 3 1/2 x 2, Clear, 10/Pack - Remove backing and attach this handy business card holder to proposals, presentation, binders, notebooks, reports or almost anywhere. 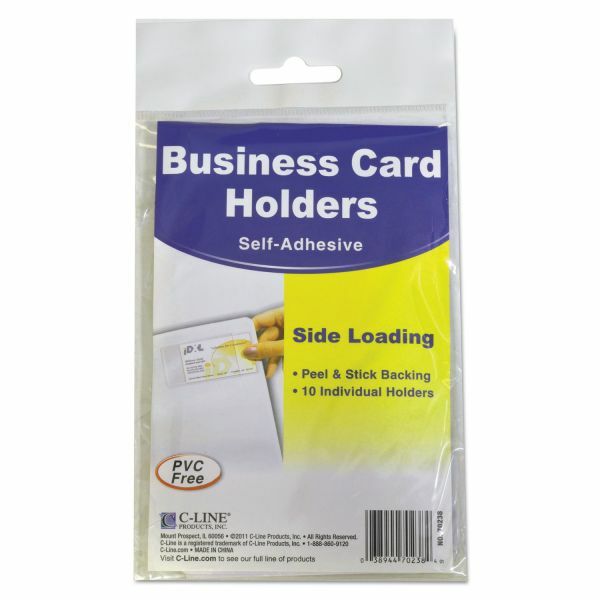 Self-adhesive design requires no staples or paper clips. 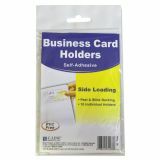 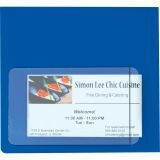 Side-loading card holder is designed to hold most standard-size business cards.